Amid the challenging terrain of north-western Honduras, where Dr. Kelly’s team faced rugged and steep forest areas cut across here and there by a few trails, a gorgeous tree with cherry-like fruits was discovered. Being about 10 metres (33 ft) high and covered with cream-colored flowers, it was quickly sorted into the Coffee family (Rubiaceae), but it was its further description that took much longer. Eventually, it was named Sommera cusucoana, with its specific name stemming from its so far only known locality, the Cusuco National Park. The study is available in the open-access journal PhytoKeys. During a plant diversity study in the Cusuco National Park, conducted by Drs. Kelly, Dietzch and co-workers as a part of a broader survey by Operation Wallacea, an international organisation dealing with biodiversity and conservation management research programmes. A couple of curious findings in the past decade provide a strong incentive to further work. The place turns out to be not only of high biodiversity, but to also contain rare and hitherto unknown plant and animal species. For instance, the tree Hondurodendron (from Greek, ‘Honduras Tree’) and the herbaceous plant Calathea carolineae are another two endemic species discovered as a result of the Operation Wallacea survey. In 2013, two individuals of another unknown, 10-metre high (33 ft) tree with cream-colored flowers and red, cherry-like fruits were found by Daniel Kelly and Anke Dietzsch from Trinity College, University of Dublin, Ireland. The two were aided by local guide Wilmer Lopez. The multinational collaboration did not stop then and there. Although the scientists quickly figured that the tree belonged to the Coffee family, they needed some additional help to further identify their discovery. Thus, they were joined by two leading specialist in this plant group, first Charlotte Taylor from Missouri Botanical Garden and then David Lorence from the National Tropical Botanical Garden in Hawaii. It was actually David who was the first to recognise the unknown tree as a member of theSommera genus, a group of nine known species of trees and shrubs. 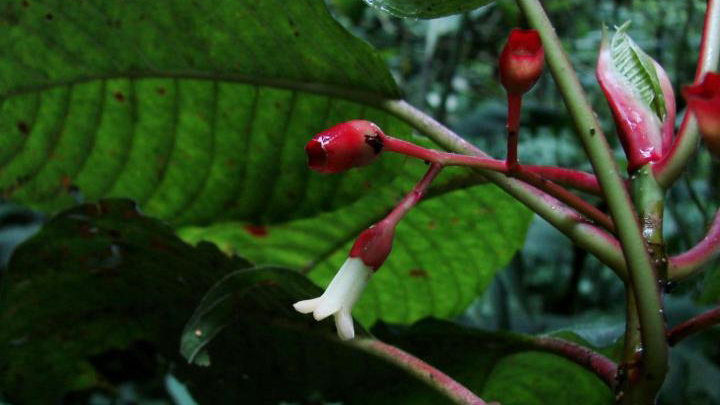 Later, the team decided to name the new plant Sommera cusucoana to celebrate its singular locality, the Cusuco National Park. “We hope that the publication of this and other discoveries will help to galvanize support for the conservation of this unique and beautiful park and its denizens,” they concluded. beautiful post, thanks for share.